About Us - Jump Tours: Who we are, what we do and why! About Us - Jump Tours: Who we are, what we do and why! ABOUT US! Greg Price established Jump in 2007 with one van and a vision of creating an affordable way for backpackers to see Tasmania. At the time young visitors to Tasmania could only book expensive trips made for older travellers. Our Tasmania tours changed everything. In 2009, Lonely Planet’s Australia Guidebook described Jump as “a cheeky start-up making a big impression on the backpacker scene to rave reviews”. Jump was voted Best Tour/Activity in Tasmania at the TNT Magazine Golden Backpack Awards three years in a row – 2011, 2012 & 2013. These are the only Australia wide tourism awards decided by backpackers! 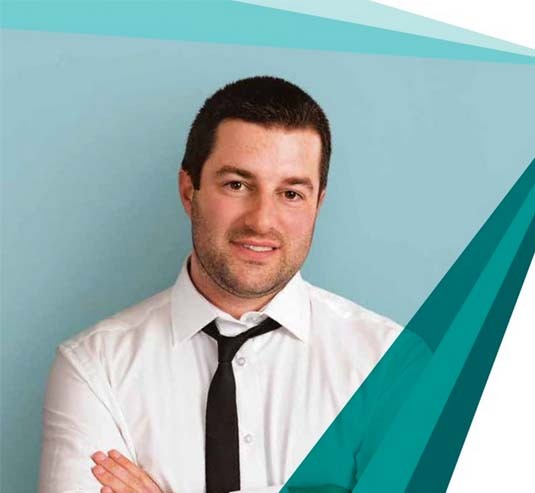 In November 2012, Greg was named the Tourism Minister’s Young Achiever of the Year. Later the same month he was named Tasmanian Entrepreneur of the Year. July 2013 brought triumph at the Telstra Australian Business Awards with the award for Tasmanian Micro Business of the Year. As October 2013 arrived, Jump unveiled another first for Tasmania tours. Every Jump departure became guaranteed, all year round. Our guests enjoy the confidence that when they book with us, they’ll be going on the date they chose, every time! On 4 November 2016, Jump Tours officially became Tasmania’s best tour company, winning gold in the Tour & Transport Operators Category of the 2016 Tasmanian Tourism Awards. "I did this tour and it was just amazing. I chose the 5 days Tassie Lap to see as much as possible of Tassie and just fell in love with the nature...I had fun for the whole time." "Very good way to see Tasmania in a short time. Really easy to meet people. The tour guide Andrew knows a lot about the island. Loved this tour, one of the best tours in Australia." Jump Tours is on its way to becoming an Australia wide provider of great tours for backpackers and budget travellers. In May 2014 our new Top End Triangle Tour departed from Darwin, Northern Territory, for the first time. Like all Jump Tours, the Top End Triangle provides a high quality, value for money tour option, taking in World Heritage listed Kakadu National Park, Gunlom Falls, Indigenous rock art at Ubirr and the rock holes and waterfalls of Litchfield National Park. As October 2013 arrived, Jump unveiled another first for Tasmania tours. Every departure was guaranteed, all year round. Our guests enjoy the confidence that when they book with us, they’ll be going on the date they chose, every time! Jump Tours is on its way to becoming an Australia wide provider of great tours for backpackers and budget travellers. In May 2014 our new Top End Triangle Tour departed from Darwin, Northern Territory, for the first time. Like all Jump Tours, the Top End Triangle provides a high quality, value for money tour option, taking in World Heritage listed Kakadu National Park, Gunlom Falls, Indigenous rock art at Ubirr and the rock holes and waterfalls of Litchfield National Park.